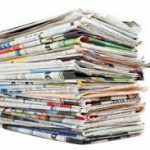 Adoption search and reunion resources, forms, articles, books and organizations for adoptees, birth parents, adoptive parents, siblings and family. Consent for Contact for Birth Parent or Adoptee and Request for Nonidentifying Background Information Be sure the box is checked to receive nonidentifying background information. You will receive the “non-id” file that the social worker created at the time that the biological mother was pregnant. Siblings of adoptees submit Waiver of Rights to Confidentiality For Siblings in order to notify the California Department of Social Services that you authorize contact and to receive biographical information on your siblings. Searching for Birth Relatives – This factsheet provides guidance to adopted persons and birth families on the search process and information access, as well as resources for further help in conducting a successful search. This factsheet is designed to address the concerns of both adopted persons who are searching for birth parents or other birth relatives, as well as birth parents (both mothers and fathers) who want to locate a child who was adopted. While not a complete “how to” guide to searching, this factsheet provides information on the different types of searches, issues that might arise during searching, and additional resources. Why Won’t My Birthmother Meet Me? Adoption Nation: How the Adoption Revolution is Transforming America. Adam Pertman, Basic Books. The Primal Wound: Understanding the Adopted Child. Nancy Newton Verrier, Gateway Press. Adoptee Rights Law – The status of access to the original birth certificate in all states. American Adoption Congress is a national nonprofit organization made up of individuals, families and organizations committed to adoption reform. Concerned United Birthparents (CUB) is the only national organization focused on birthparents – serving all those touched by adoption and all who are concerned about adoption issues. International Society of Genetic Genealogy (ISOGG) — promotion and education of genetic genealogy. City Directories and Telephone Books: A city directory places an individual in a specific location at a particular time. It can include residents at an address, their workplace and type of work, if they’re a student or whether they are widowed. If you have only a last name, this can provide potential first names for your relatives. Telephone books are published every year but the city directories may skip years or be discontinued. 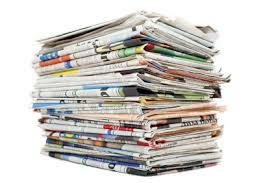 Historical newspapers record deaths, births, marriages, court actions and everyday events. Some are digitized and searchable by keywords. Others are on microfilm and archived at public local and state libraries and private genealogical societies. Biological parents’ names may be recorded within days after the birth. You may not have a name of the mother, father or sibling you’re looking for but you may recognize physical similarities in a photo. The yearbooks for the schools in the geographical area where they attended high school or college can match a face to a name. 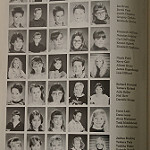 Some yearbooks are online or can be found at local repositories — libraries and schools.